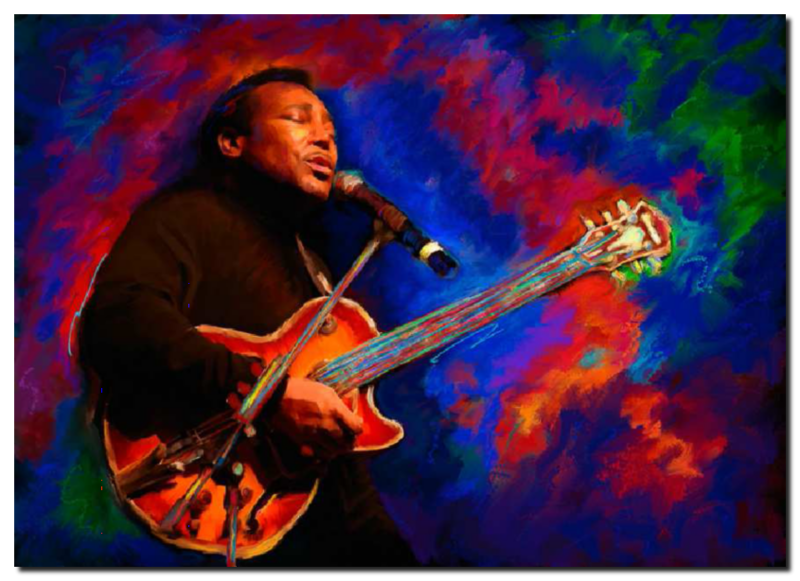 Bo Woody Winter‘s work is inspired by jazz and jazz musicians. 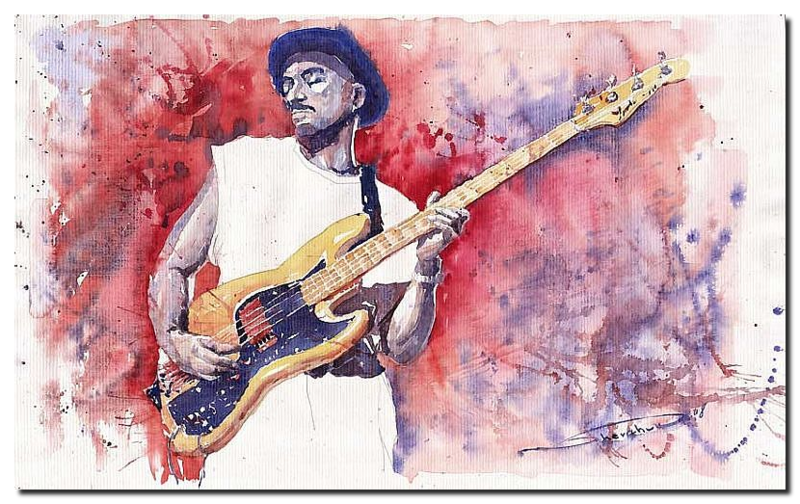 It’s only naturally that his paintings are often to see on exhibitions during jazz festivals like for example the North Sea Jazz Art 2011 during the North Sea Jazz Festival 2011. Hailing from Rotterdam Bo currently lives in Ibiza, Islas Baleares, Spain. He studied Visual Art – Painting at the Academy of Art in Rotterdam. His works can be seen at Facebook and at this website. Also visit Bo’s own blog. 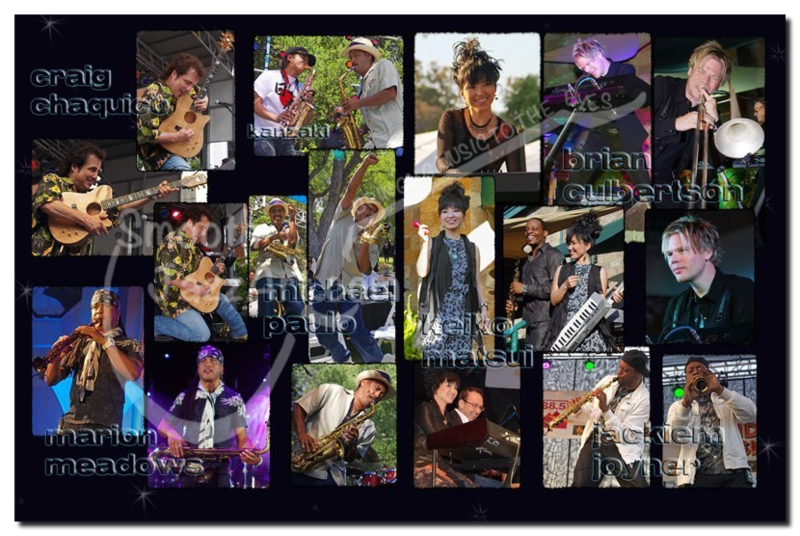 The Original Smooth Jazz Calendar was first created by Sherry Fisher in 2005 for family & friends including artists & industry people is filled with photos of your favorite Smooth Jazz Artists from concerts throughout the year. Over the last several years calendar has been expanded a larger size and now measures 17”x22”, allowing to feature more performers than ever. The artists this year will include all of your favorites! 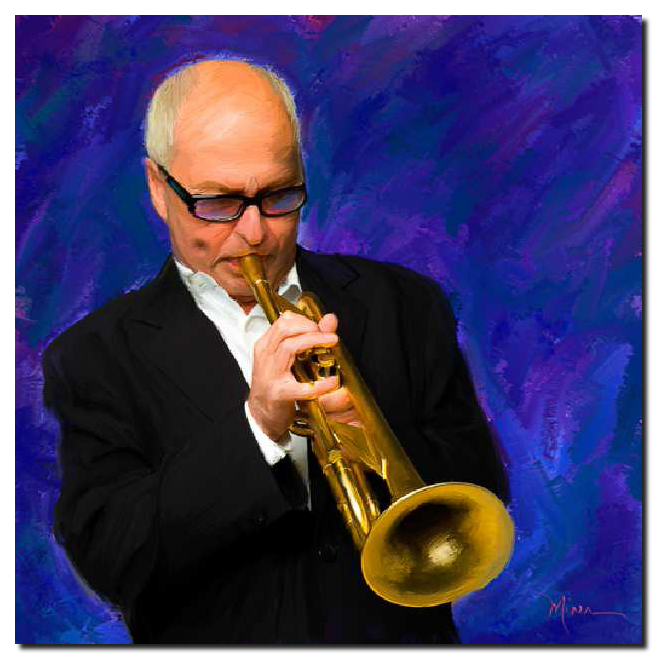 Peter White, Rick Braun, Dave Koz, Brian Culbertson, Richard Elliot, Mindi Abair, Jeff Golub, Michael Paulo, Spencer Day, Euge Groove, Craig Chaquico, Eric Darius, Jessy J, Norman Brown, Gerald Albright, Vincent Ingala, Trombone Shorty, Candy Dulfer, Acoustic Alchemy, Shilts, Jackiem Joyner, Keiko Matsui and more! For more information about the calendar visit this website. As a graphic designer, photographer and traditional artist Russ Harris has painted in acrylic, chalk, pen & ink, pencils and water colors and is now combining these elements to create and capture visual reality that a photographic moment does not completely capture. As a fine-artist, Russ Harris adds the moment and expression that visually speaks a thousand words through the use of creating lights, textures traditional artist detail in brush stokes and combining fine detail with pencils, pen & ink and chalk. His artworks have been commissioned and acquired by private clients and is currently offered for sale worldwide. Russ’ lives and creates in the seaside community of La Jolla, California. For more information about the artist and his work visit his website. 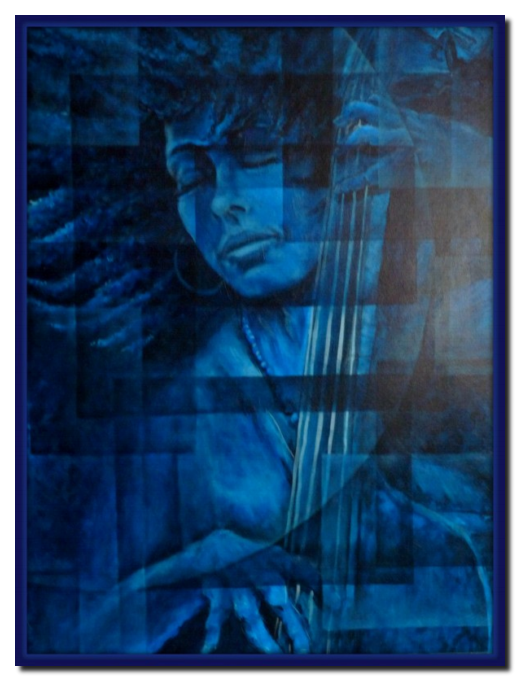 Ludner Confident is a Haitian artist and painter. Inspired by life experiences and emotions, social and spiritual concerns and the beauty of God’s creations, Confidant’s art is distinguished by surrealist sensitivity and a physician’s humanism. His paintings portray a visual poetry with external and inner beauty that appeals to the intellect as well as emotions. They seduce, entertain, delight and lead the viewer down a certain path. Ludner created the cover Interlude for Allon Sams’ album A Place In Time (2001). Born in 1961 in Kiev, Ukraine, Yuriy Shevchuk attended the Kiev Art School and later the prestigious Kiev Architectural Academy. Yuriy has adopted the practice of recording his own experiences in his artworks: his three passions, painting, jazz and historical cars have become the focus of his paintings. Since 1993 Shevchuk has been living in the city of Prague, which he depicts in many of his paintings and also where he exhibits his work widely. He has been described as an accomplished master, full of artistic and intellectual energy. 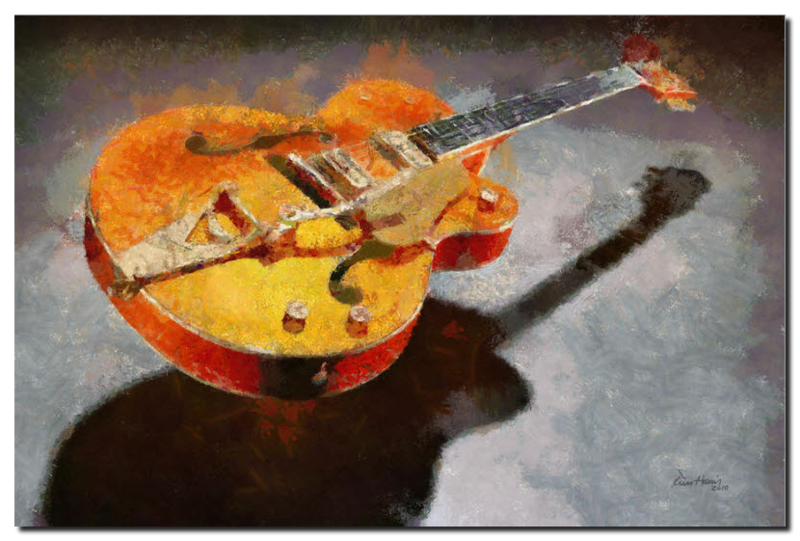 Bewitched with jazz music he skillfully and rapidly sketches the cool and charming figures of musicians in action, showing the positive mood of jazz and the stunning spiritual intensity of this bright magical world. His lively and spontaneous paintings expertly translate the atmosphere and verve of the music, using dripping, seeping paints and pastels. Another part of his interests is retro cars. He does not paint cars as such, but tries to depict his emotional perception of retro style. So, the observer can feel spirit of the past on his works. Shevchuk, an associate member of the Pastels Society of America, has participated in numerous exhibitions and his work is held in collections all over the world. The clarity, harmony, the refined palette of colour and line attract sophisticated art and music lovers worldwide. In the presence of Yuriy’s paintings one can almost hear the blues, feel the beguiling emotions and impassioned feelings of the musicians translated through the artist; such intoxication supports the belief that Yuriy Shevchuk is undoubtedly among the leading contemporary artists exhibiting widely in the Czech Republic today.